Seoul : Defence Minister Manohar Parrikar on Friday met his South Korean counterpart Gen Han Min-Koo here and discussed ways to expand defence ties.The two countries also agreed to intensify efforts to develop mutually-beneficial partnerships in defence production. A statement said the two defence ministers "focused on ways to expand contact" between the their defence establishments and building deep partnerships between their defence industries. Parrikar also met senior South Korean defence officlals, including National Security Advisor Kim Kwan-jin, chairman of the joint chiefs of staff and minister of defence acquisition progremme administration. Parrikar said he had chosen South Korea as destination of his first visit under the "Make in India" campaign in recognition of the importance India attaches to the country as a partner. "Both sides agreed to enhance their efforts to develop mutually-beneficial partnerships in defence production," the statement said. In his meeting with Kwan-jin, Parrikar discussed regional and global issues of peace and security. They also discussed ways of intensifying bilateral cooperation and enhance defence these "in a manner more commensurate with close strategic partners". 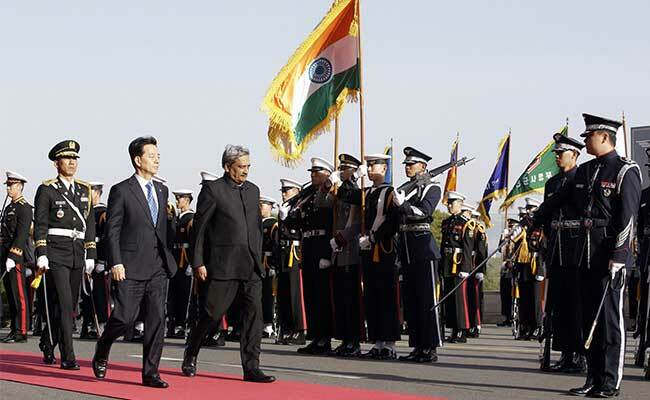 Parrikar, who had reached South Korea on Thursday, will leave for India on Saturday after a final round of one-to-one meetings with Korean defence industries and an informal meeting with the Indian IIT alumni association in Korea.